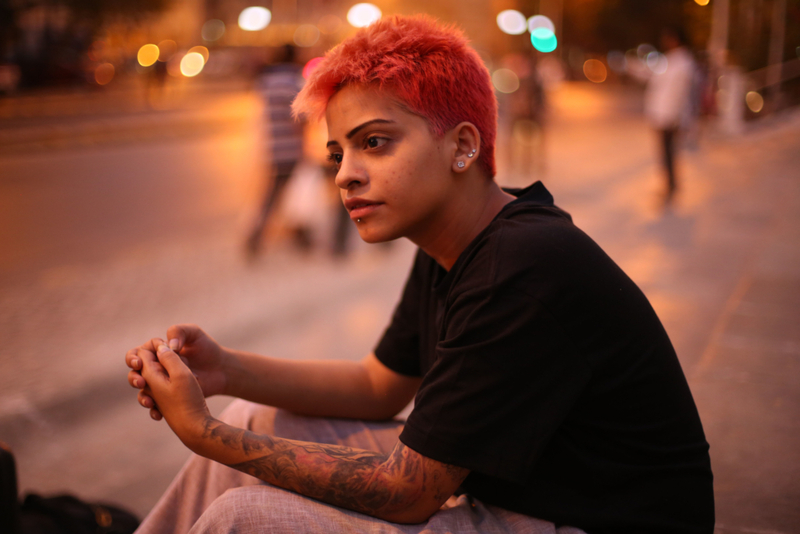 Noor is 5 feet 4 inches of fierce energy. 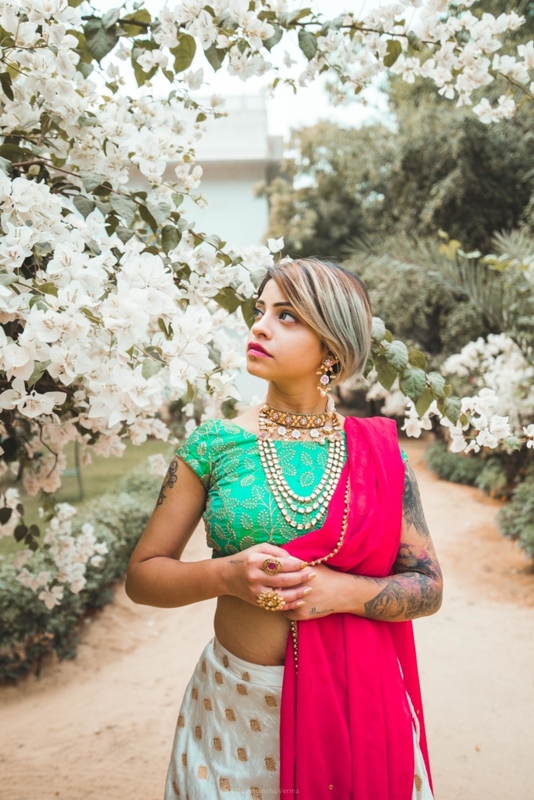 She grew up in a traditional white collar family in Jaipur who are now more accepting of her and her life choices which is a big win. As multifaceted as she is, she is a popularly known as a motivational speaker, an unconventional fashion model, a painter and the founder of ‘Home For Artists’. 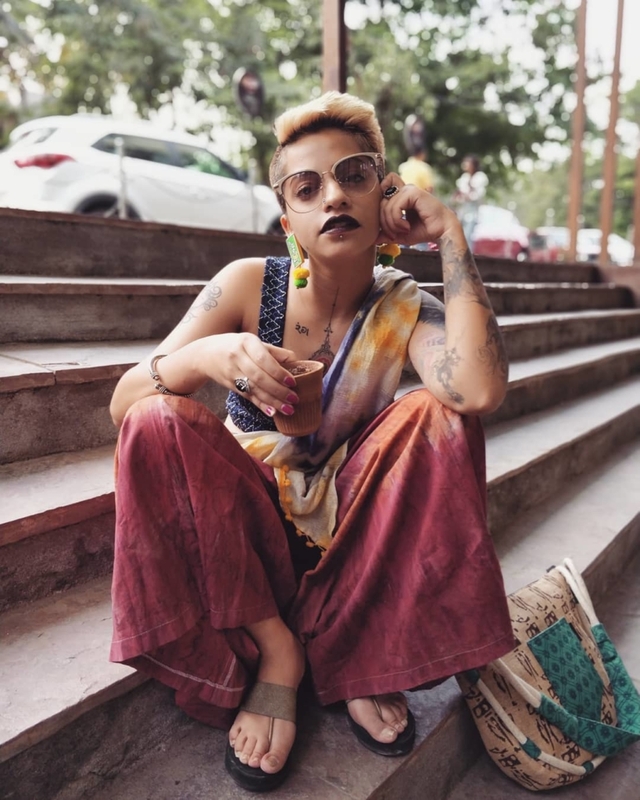 She is heavily inspired by Sufism and at 22, she’s already featured on a bunch of Tedx Talks, magazines like Femina and has modelled for brands like Nokia, Motorola and Converse! Two cats and twenty two tattoos later, she’s almost ready to launch her own clothing and perfume brand ‘NOOR HADID’ which I think is very cool. 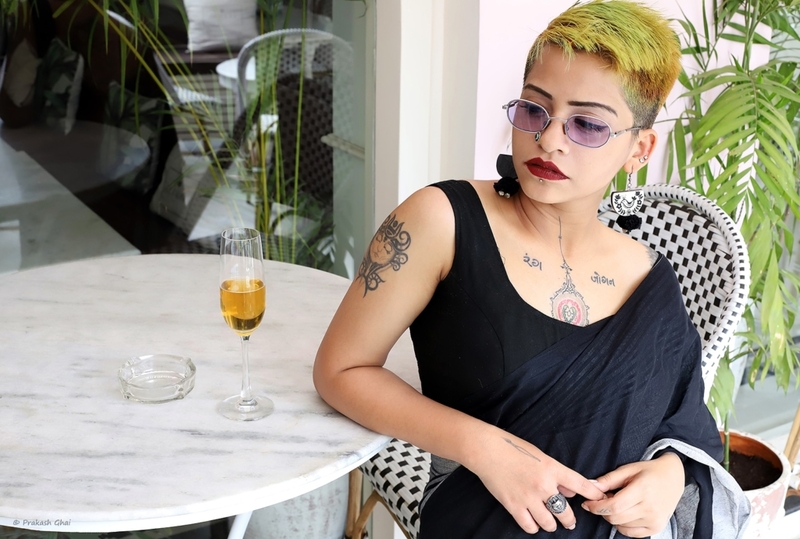 So here’s my interview with the dynamic Nimisha Verma a.k.a Noor Hadid where she talks about how she got around to being so awesome! Who is Nimisha Verma a.k.a Noor Hadid? I am a story and a story teller. A dervish. I allow myself to dwell in my own chaos and become whatever I want to be. 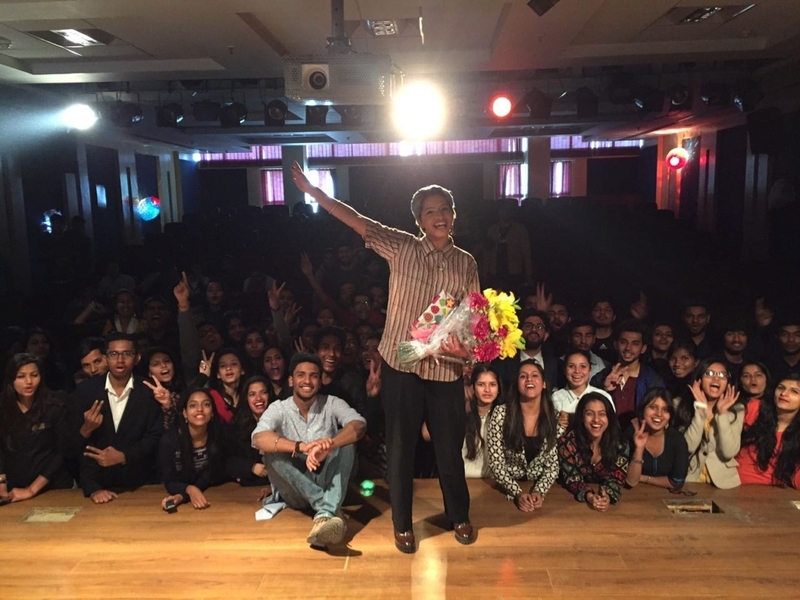 I host interactive sessions and workshops in different schools and colleges across the country. As a social media influencer and a model, I have been the muse of some extraordinary photographers and brands. So how does a 22 year old become a motivational speaker? I’m not entirely sure. I am a woman who is expressive and believes in real human interaction and connections. It’s simple. I don’t dig hidden meanings behind things. I see and understand what I see. I’ve always known that my life goal is to be one of those people who are just light. You see them and you suddenly feel so warm inside and all you want to do is to hug them. And they look at you and smile with the warmest light in their eyes… and you love them. Maybe not in a romantic way but you just want to be close to them and you hope some of their light transfers onto you. Do you have any advice for someone who wants to be a model and has a bunch of tattoos? Yes. Just remember that this body is carrying you. You are not carrying the body. So be responsible and respectful towards it. Whatever you add to your skin, adds on to your aura. Be aware. Take in only as much as your vessel can handle. Are there any challenges you face in your professional life because you are a tattooed individual? I decided not to choose any profession which stops me from being me. So, no, I don’t. Please tell us about your project ‘Home For Artists’. ‘Home For Artists’ was initially a physical space, a residency of artists that I opened in November 2015 after I left home. For two years I bloomed living with my family of artists. Last year I decided to shut down the residency. Now it’s a strong online community. A home I carry with me wherever I go. What artists or people have inspired or influenced you? This Turkish author called Elif Shafak inspires me a lot. My parents run a small primary school back home. They live a very simple life and there’s nothing about me that fascinates them. I like the fact that they are now more open minded and are trying to understand and accept me. I have an older brother who is an inspiration to me. This beautiful human travels on a bicycle across the country anytime he feels like. He’s an outstanding nature & candid wedding photographer. We have witnessed each other grow. If you had to give 1 advise to your younger self, it would be _______? Read more books and take care of your skin. Don’t be so harsh on yourself. Rest. Tell us about those fabulous tattoos. My ‘Jogan’ tattoo has come to become my identity. My left sleeve was done by Shobhit Sharma in Noida. It consists of a metatron cube that reminds me that I have the whole universe inside me. He also did my ‘Trilokya’ tattoo which symbolises the three realms of the universe. 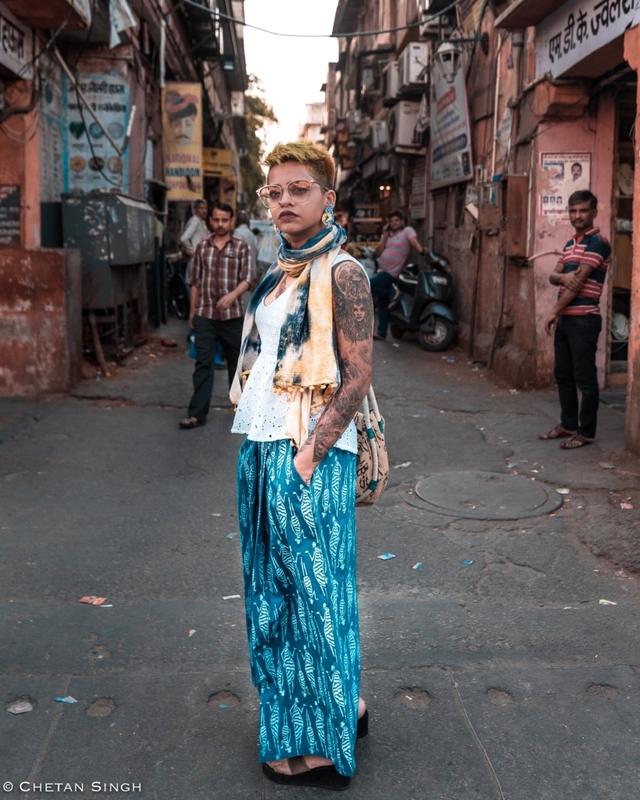 My left upper arm has a she wolf tattoo, my left leg has a wonderful piece by Abhijeet Varpe from Moths and Owls (Mumbai) which represents self-realization at a young age and surrender (samarpan). He’s definitely one of the best realism tattoo artists I have met. 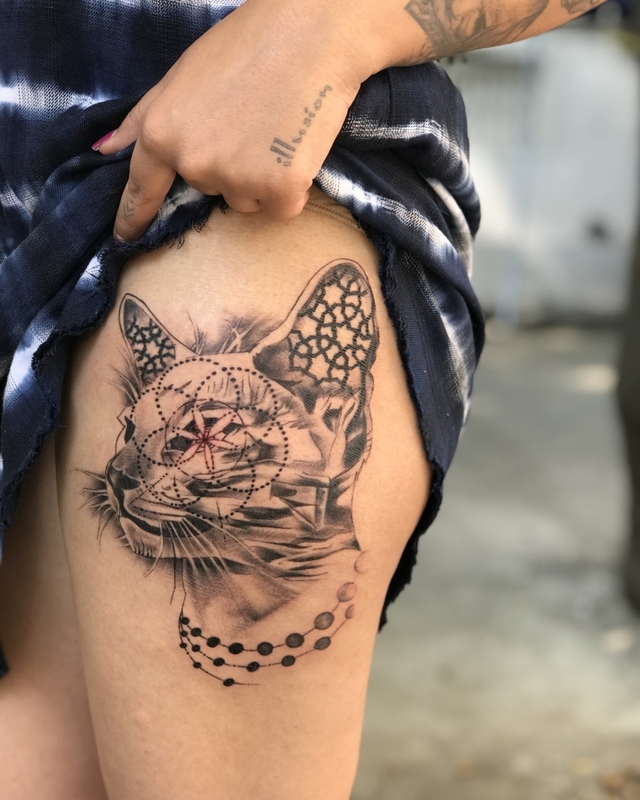 Then I recently got a cat tattoo with sacred geometry on my left thigh. This was done by a very interesting artist I met in Pune, Pranay Shah. Well of course, the most important tattoo to me is my back tattoo which is a masterpiece by my favourite artist Archana, from Ace Tattoo Studio in Colaba, Bombay. I love how I connected with her when I shared my element ‘Sufism’ for the design. 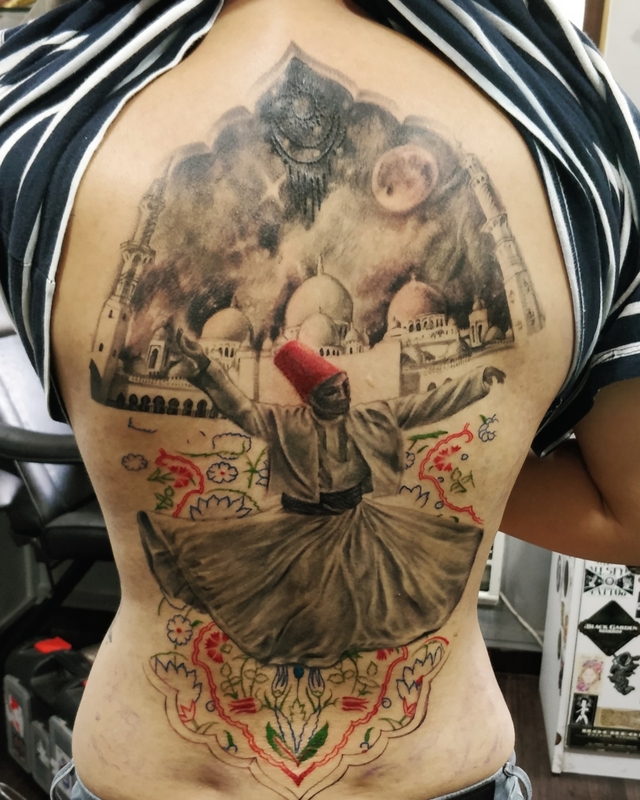 There’s a whirling dervish on my back. I believe no matter how much humans categorize and differentiate, we all are just a medium, a ‘zariya’ for energy flow. We all are under the same sky. She also made a Turkish design and wrote ‘rang’ on my chest which means the essence of divine love. In the current day and age we live in, what are your views on women living the counterculture life like you do? What are the regular challenges you face? It’s been so long now that I have been living alone. I have seen my neighbours noticing my daily life routine. Walking back home alone is an even bigger deal. I’ve come to an understanding that it’s never going to be easy no matter where I live. And now that I’ve decided to move back with my parents, It’s even harder because even if they don’t make a fuss about my tattoos, every aunty or relative who visits us do. Everybody is worried about my marriage. I don’t understand. Is it really my tattoos that bother people or are they just scared to see how fierce and free I am? 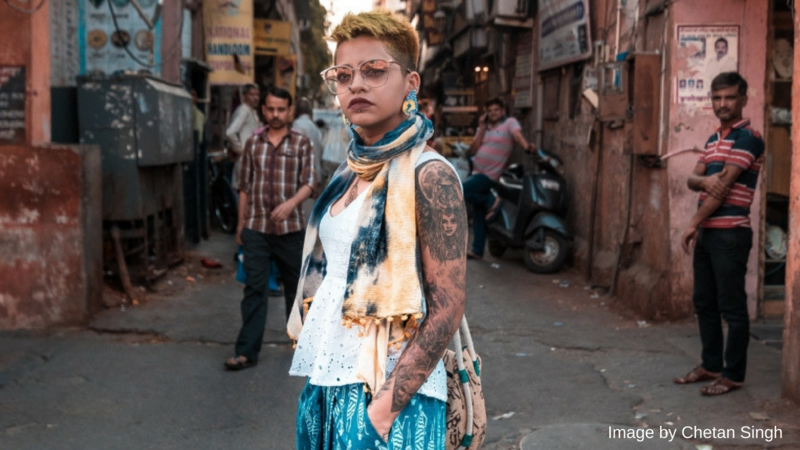 Do you think people/the society is still judgemental about the inked community? I always wonder as to how when a village woman who has her husband’s name engraved on her arm is an ideal wife, but when a young woman like me wears tattoos like it’s my ‘ihram‘ they find it characterless and above all, they think of me as a hippie who does drugs. Of course, people are still judgmental about the inked community. And every time someone asks me why do I need to get a tattoo in order to experience something, I ask them in response why do they follow a certain religion and stick to it? And here, I am not even saying it’s my religion. All I’m saying is that it’s something that reminds me that I am a fragile human and I accept and feel pain. I will soon be conducting 3-day workshops at various schools and colleges to talk about a new course I’ve recently introduced called ‘Heart And Soul Education’. There’s one happening in Jaipur on 11th, 12th, 13th May and one in Bangalore on 25th, 26th, 27th May. I will also be hosting an awesome interactive session at Inksoul Tattoo Festival in Bangalore on the 25th of next month. Apart from these, I am in the process of launching my fashion label ‘NOOR HADID’ later this year which will focus on perfumes and clothing. Wish me luck! Well, we certainly want to see this dynamite explode with her creativity and passion. You go girl, conquer the world!